Luis Lopez is a young Texan running for Texas House District 132. If you live in HD-132, Luis needs your vote, but he also needs all Texans to contribute what you can. $5, $10, $25–he will spend it wisely to Get Out The Vote from now until Election Day. Contribute TODAY at this link. Luis Lopez was born in Mexico and arrived to the USA at the age of 7. He was raised with 4 sisters and 3 brothers. Luis has known challenges throughout his life, but he has also worked hard to overcome them. His brother was deported at the age of 15. Luis worked in construction within local refineries in Beaumont through high school and college. During high school he founded a youth LULAC Council, developed the Hispanic Forum, and graduated 4th in his class. Luis is a proud graduate of Lamar University where he earned his Bachelors and Master’s Degree in Accounting in 4 ½ years. In college he managed a school board campaign, led efforts for the DREAMers on campus, established a chapter of the oldest Latino fraternity in existence, and founded a small logistics & transportation business. 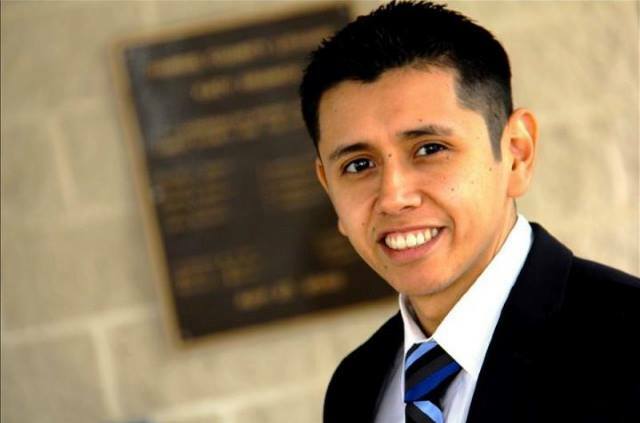 Luis was recruited by the top international accounting firm in the USA and relocated to Katy upon graduating. He and his wife Guadalupe are proud parents of their beautiful one year-old daughter Abigail Lorenza. Luis Lopez is the Democratic candidate for State Representative, District 132. District 132 needs an innovator, like Luis, and not more of the same. Instead of doing the bidding for big business and big contributors, Luis Lopez thinks it’s time to give the district back to the people. So, join his campaign, give a few dollars, and vote for Luis Lopez. District 132’s Early Voting Location is at the Franz Road Storefront, or at any early voting location until Friday at 7pm. To find your Tuesday, November 4th polling location, click here, input the information requested, and you’ll get your very own sample ballot and polling location information.